DIN Sanitary clamp 3 PC non-retention ball valves Type include Sanitary straight way ball valve, Sanitary 3 way ball valve,which is suitable for any pipeline to control the flow either automatically or manually. 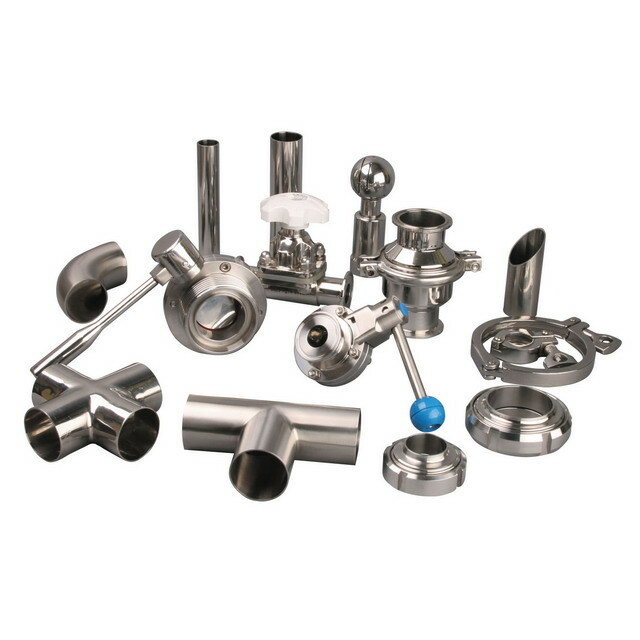 KAYSEN is your reliable source for Sanitary Valves and fittings. KAYSEN sanitary provide Sanitary Ball Valves with full bore or reduced bore design, in stainless steel 304 or 316L with different connection end. With a full diameter from DN15 to DN100, and meet the stringent requirement of high purity sanitary industries of Food, Brewery, Beverage, Dairy, Pharmaceutical, Biopharma etc. Looking for ideal Sanitary Non-retention Ball Valves Manufacturer & supplier ? We have a wide selection at great prices to help you get creative. All the Hygienic Non-retention Ball Valves are quality guaranteed. We are China Origin Factory of Food Grade Non-retention Ball Valves. If you have any question, please feel free to contact us.